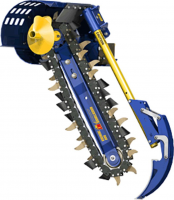 Trenchers : SARL Maxima, Specialists in the sale and reparation of machines and accessories for the construction industry. 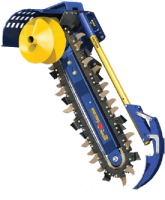 Importer and distributor of both hydraulic and pneumatic equipment. 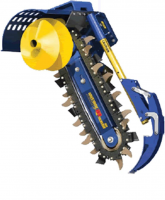 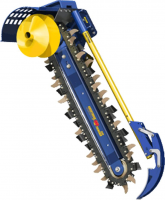 Auger Torque’s trencher units are the result of much research in trencher manufacturing along with testing and refining in the hardest trenching conditions. 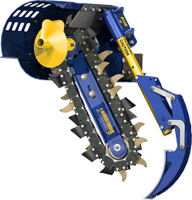 Leading the field with innovative design, Auger Torque trenchers are providing maximum benefits for productivity and reduced maintenance, due to their heavier duty planetary drive gearboxes, light yet ultra-strong i-beam design, adjustable depth control and top quality American hydraulic motors.